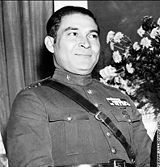 General Rubén Fulgencio Batista y Zaldívar, better known as Fulgencio Batista (pronounced fulˈɣensio baˈtista̩)—January 16, 1901 – August 6, 1973)—was the de facto military ruler of Cuba from 1933 to 1940, and the de jure President of Cuba from 1940 to 1944. After living briefly in the U.S. he was elected to the Cuban Senate in 1948. He later staged a coup d'etat when it became clear that he was going to lose the 1952 election for president, serving again in that office from 1952 to 1959. His authoritarian government during this period generated opposition despite his attempt to placate critics with an election in 1954 in which he ran unopposed. Growing resistance to his government included most of the coalition that had worked with Batista to overthrow the earlier Gerardo Machado regime, including some of Fidel Castro's guerrilla movement, by which Batista was overthrown in what is known as the Cuban Revolution on January 8, 1959. Batista died in exile in Spain on August 6, 1973. Batista was born on January 16, 1901 in the Veguitas section in Banes, a small rural community in the northeast Oriente Province, Cuba. The first of four sons, he was born to Belisario Batista Palermo and Carmela Zaldívar González, both of whom were reportedly of mixed race. His father fought in the Cuban war of independence from Spain under General José Maceo. Batista’s mother was 15 years old when he was born. Of humble origins, Batista and his family lived in a two room bohío, which consisted of dirt floors, bark, and palm trees. The whole family slept in the only bedroom, the other room being the living room. There was no toilet or running water, so Batista and his family were forced to drink from rivers and ponds, which often made them ill. Many questioned his ethnic origins, and he was often referred to as a mulatto. Though Batista frequently acknowledged growing up in poverty, he rarely mentioned his racial and ethnic origins. He simply described his parents as "Cuban." Batista began working from an early age, leaving school and beginning to work with his father at the age of eight to help supplement the family income. In 1911, Batista was allowed to return to school, but only at night. He attended the Colegio Los Amigos of Banes, a night school run by Quakers. Batista's parents considered school an indulgence, and he was not allowed to do his school work at home. Nonetheless, he graduated in the Spring of 1913 with a fourth grade education at the age of 12. When Batista's mother passed away in 1916, his family became fragmented. Batista worked various odd jobs and traveled the countryside. From 1916 until he enlisted in the army he was working at office jobs, harvesting oranges and sugar cane, running errands, and doing chores for soldiers. Finally, Batista was hired by the railroad and thus gained the financial security and independence he was searching for. He also indulged himself in various books in order to educate himself. In 1921, Batista joined the First Battalion, Fourth Infantry Company at Camp Columbia as a private in the Cuban army. Here, he studied stenography and took a number of courses to enhance his stenographic skills. He attended a small technical school, Colegio San Mario, as well as other schools in the area. At his best, Batista could transcribe up to 160 words per minute. He was even a poster boy for stenography, and trade journals and magazines boasted of his success as he became an adept typist. When his term expired in April 1923, Batista did not immediately reenlist in the army. Instead, he took public speaking and phonetics classes until he reenlisted in the Rural Guard at the end of May 1923. On September 4, 1933 Batista led enlisted men, in alliance with students and labor leaders, in an uprising known as the Sergeants’ Revolt, which ousted the provisional government of Carlos Manuel de Céspedes. This rebellion was built on the grievances of enlisted men about the treatment they received in the army. The civilian revolutionaries and student movement allied with Batista; and the enlisted men began to take control of the navy, police stations and armed forces. The students developed a program that established a new form of government, which included the creation of an executive commission of five individuals who were to rule the country together. 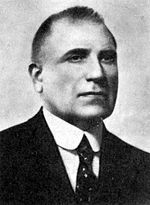 Federico Laredo Brú was president of Cuba from 1936-1940, with Batista ruling behind the scenes. Grau was president for just over 100 days before being replaced by Carlos Mendieta y Montefur (11 months), José Barnet y Vinajeras (5 months), and Miguel Gómez y Arias (7 months) before Federico Laredo Brú managed to rule from December 1936 to October 1940. During this time, Batista basically ran the country from behind the scenes. Throughout this period, Batista violently suppressed a number of attempts to defeat his control. This included the quashing of an uprising in the ancient Atarés fort (Havana) by Blas Hernández, a rural guerrilla who had fought Gerardo Machado. Many of those who surrendered were executed. Another attempt was the attack on the Hotel Nacional where Cuban former army officers of the Cuban Olympic rifle team put up stiff resistance until they were defeated. Batista's troops executed many of the surrendered. Many other revolts, often minor, were also suppressed. In February 1936, Batista set about to establish a rural education program throughout Cuba. This was followed by a surge of social welfare legislation, partially in an attempt to improve the public image of the army in Cuba. During these years Batista brought education to peasants, built schools, and implemented a minimum wage for farm workers, a measure deeply resented by the landowners. However, despite Batista's initial agenda for social reform, positive changes in the country were minimal and his plans did not meet with great success. On December 6, 1939, Batista resigned from the Cuban Army so he could participate in the upcoming election. In October 1940, he formed a coalition with the leftist Cuban Communist Party and was elected President of Cuba. During his tenure, he drafted the 1940 constitution—widely regarded as a progressive document with regards to labor, unemployment, and social security—and implemented several liberal economic reforms. In 1944, Batista was forbidden by law to seek re-election because of term limits and was succeeded by Grau. Batista retired to Daytona Beach, Florida but returned to Cuba in 1948 upon his election to the Cuban Senate. After being elected Senator from the Santa Clara Province in 1948, Batista organized his own political party. He later announced his presidential candidacy for the June 1952 presidential elections. As the election date approached, Batista was running last, and it became apparent that he would lose. Thus, he staged a relatively bloodless coup d'état on March 10, 1952 and removed Carlos Prío Socarrás from the presidency. Remembering the bloodshed of the 1930s, Cubans were reluctant to fight. On March 27, Batista's government was formally recognized by the United States. Shortly thereafter, Batista suspended several guarantees of Cuba's 1940 constitution, as well as the right to strike. Batista then went on to cancel the elections and dissolved all political parties. The new government soon received diplomatic recognition from the United States, and the number of American corporations continued to swell in Cuba. The island became a major tourist destination, creating unprecedented material prosperity for its inhabitants. Batista’s past democratic and pro-labor tendencies, as well as the fear of another episode of bloody violence, gained him tenuous support from the survivors of the Independence Wars, bankers, the association of cane growers, the colonos (prosperous sharecroppers and small landowners), and the leader of the major labor confederation (the CTC), Eusebio Mujal. Only a few labor leaders rebelled. The major political parties, the Ortodoxo and the Auténtico were undecisive; while the communist Partido Socialista Popular supported Batista until 1957. Batista opened Havana to large-scale gambling and announced that the Cuban government would match, dollar for dollar, any hotel investment over $1 million, which would include a casino license. Moreover, Batista reorganized the government so that he and his political appointees could legally harvest the nation's new-found riches. This period was marked by considerable construction of private high-rises and public tunnels and roads, including the Havana-Varadero highway, the Rancho Boyeros airport, train lines, and an underwater tunnel. Havana became the third most wealthy city in the world, with more TV sets, telephones, and late model Cadillacs per household than any city in America. 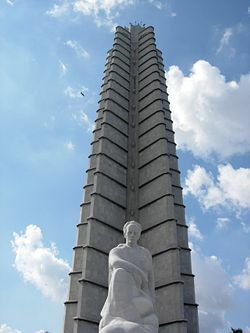 The "Civic Plaza"—later renamed Plaza de la Revolución under the Castro regime—and its surrounding buildings were also completed in these times. The Cuban people, tired of corrupt governments, were initially accepting of the coup, hoping that Batista would restore stability to the island after the political violence, labor unrest, and government corruption that had occurred during Carlos Prío Socarrás' tenure. Advocates of liberal democracy, however, viewed Batista's presidency as unconstitutional and unacceptable because he was not elected. Due to rising popular unrest and to appease the United States, Batista held an election, in which there were no other legal candidates, to become the supposedly legitimate president of Cuba in 1954. Despite the unprecedented economic prosperity of the 1950s, opposition parties, such as the now firmly anti-Batista Ortodoxo and the Auténtico, managed to promote social unrest. Radical anti-Batista university students planted bombs that killed civilians and military personnel alike. Batista responded with repression of the subversives. However, government corruption and claims of close relationships with the mafia, now resulted in a rise in general opposition to his regime from the rich and middle classes. On July 26, 1953, a small group of young revolutionaries led by Fidel Castro attacked the Moncada Army Barracks in Santiago, Oriente Province, in an attempt to overthrow Batista. The attack was unsuccessful, and Batista ordered that the rebels involved either be imprisoned or executed. Castro, along with other survivors of the Moncada attack, were not released from jail until May 15, 1955. Near the end of 1955, anti-Batista demonstrations and student rioting were frequent. The military police dealt with the opposition violently. Batista shut down the University of Havana after continued student opposition to the government. At least one student leader was killed by police. Batista again suspended constitutional rights and put tighter censorship restrictions on what the media could report. The military police patrolled streets, picking up anyone suspected of being part of the insurrection. By the end of 1955, brutality and torture had become more frequent. In 1956, Castro and his supporters set up camp in the Sierra Maestra mountains. Castro's guerrilla army raided isolated army garrisons in order to build up their stock of weapons and ammunition. They also took control of land and redistributed it among the peasants. In return, the peasants helped Castro's guerrillas against Batista's army; and some of the peasants, as well as students, joined Castro's movement. Batista responded by sending more than 10,000 troops to the Sierra Maestra to find Castro and his guerrillas. Despite being outnumbered, Castro's forces scored a series of victories, aided by the corruption of Batista's leading army officers and large numbers of desertions. During this period, the U.S. broke off relations with Batista, stating that a peaceful transition to a new government was necessary. The U.S. imposed an embargo preventing Batista from acquiring American arms. U.S. companies still had extensive business interests in Cuba at this time, and the unrest was damaging to these businesses. Against this backdrop of a growing civil war, Batista, constitutionally prohibited from continuing as president, organized an election in which his preferred candidate Carlos Rivero Aguero defeated former president Grau. The situation, however, had deteriorated beyond repair. On New Year's Eve, Batista fled in the night; and on January 1, 1959, the regime collapsed after his departure. Castro's forces entered Havana one week later on January 8, 1959. Batista allegedly fled Cuba with millions of dollars. From the Dominican Republic, he moved to Portugal, and then to Marbella, Spain, where he wrote books for the remainder of his life. These include Cuba Betrayed and The Growth and Decline of the Cuban Republic, both of which are an apology for his troublesome role in Cuban politics. He never returned to Cuba, dying of a heart attack in Spain on August 6, 1973. Much like his predecessor Machado, Batista started with good intentions and attempted to create a consensus coalition to move the social, economic, and political framework of the country towards a stable liberal democracy. However, he lost that vision as time progressed clinging to power and wealth while his nation floundered around him. His legacy, ironically, is the Communist Castro regime, which replaced his dictatorial rule. ↑ Earle Rice, Jr. The Cuban Revolution World History Series. (Lucent Books, 1995), 11. ↑ Jerry Sierra. Fulgencio Batista, from The History of Cuba historyofcuba.com. Retrieved September 24, 2007. ↑ Frank Argote-Freyre. Fulgencio Batista: From Revolutionary to Strongman. (Rutgers University Press, 2006), 20, 203. ↑ Jerry Sierra, Fulgencio Batista, from The History of Cubawww.historyofcuba.com. Retrieved November 22, 2007. ↑ Fulgencio Batista www.spartacus.schoolnet.co.uk Retrieved September 24, 2007. Sierra, Jerry Fulgencio Batista, Cuban Dictator historyofcuba.com. Sierra, Jerry Fulgencio Batista, from The History of Cuba historyofcuba.com. American Experience: Fidel Castro: People & Events: Fulgencio Batista (1901-1973) PBS. This page was last modified on 14 May 2016, at 19:08.